The Payroll Edge is the Payroll Processing and HR Management division of The Staffing Edge www.staffedge.com. 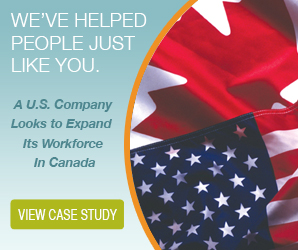 For over two decades, The Staffing Edge has been giving the “edge” to hundreds of Canadian recruiting firms, with an integrated suite of outsourced back office support solutions, including payroll processing and HR Management. The Payroll Edge provides that same “edge” to companies looking for a payroll solution or an employer of record provider for their Canadian workforce. Between them, The Staffing Edge and The Payroll Edge have almost 25 years of experience in payroll taxation compliance, employment standards legislation and health and safety regulations in every province in Canada and continue to be on the leading “edge” of human resources. Our team of experts includes dedicated Certified Payroll Professionals, Specialized HR Managers and Practiced Legal Expertise. We understand the intricacies of employee and HR Management that can weigh down a busy business. It takes a true partner to understand the intricacies and liabilities of payroll legislation and compliance. It may be a small part of your day to day business, but for us, it’s our very reason for existing. And we do it better than anyone else in Canada.